Officially Licensed Faux leather with cotton and PVC. Long trifold style wallet. 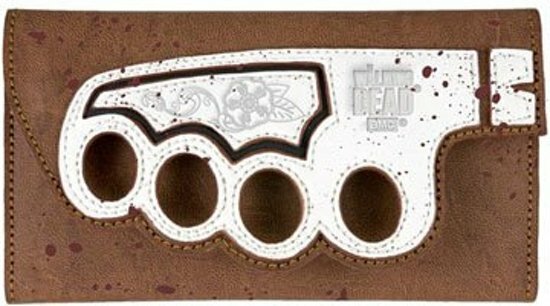 Front flap has a die cut feature to look like the handle of Carol’s brass knuckle knife. Custom-stampled Cherokee Rose style flowers. Pops of interior vintage style floral lining.